Mark E. Campbell, 44, of Sherrard, died suddenly at home on September 4, 2018. Funeral service will be held at 1:00 PM on Saturday, September 8, 2018 at Gospel Assembly Church, 2700 53rd St. Moline. Visitation will be from 4 PM to 7 PM on Friday, September 7, 2018 at Wheelan-Pressly Funeral Home and Crematory, 201 E. 4th Ave., Milan. Burial will be at Viola Cemetery. In lieu of flowers a memorial has been established. He was born August 1, 1974 in Davenport, IA to Stanley and Glenda Campbell. He graduated class of 1993 at Sherrard High School. He married his only love Sandra Lucas Campbell on November 26, 1994. He was the proud and loving father of daughter Kaylee Campbell and son Lucas Campbell of Sherrard, IL. Mark was part of his father’s construction business in the Mercer County area. After his father’s passing he and his brother became owners of Stanley Campbell Construction. He was an active member of the Gospel Assembly Church in Moline, Illinois. 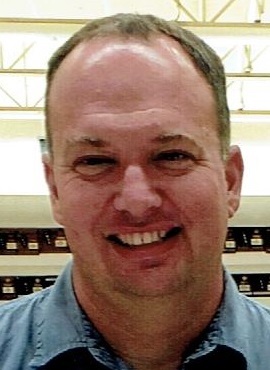 Mark held numerous positions such as working with the youth, band director, guitar player, trustee and had the responsibility of facility maintenance. Mark loved family gatherings and cooking for his family. Mark is survived by his wife and children; his mother; his sister Sarah Carter, and two nieces Anna and Bethany Carter ; his brother Scott (Shaina) Campbell, and nephews Lincoln, Ezra, and niece Zoey. He is also survived by maternal Grandmother Velma L. Kaufman. He was preceded in death by his father Stanley Campbell.